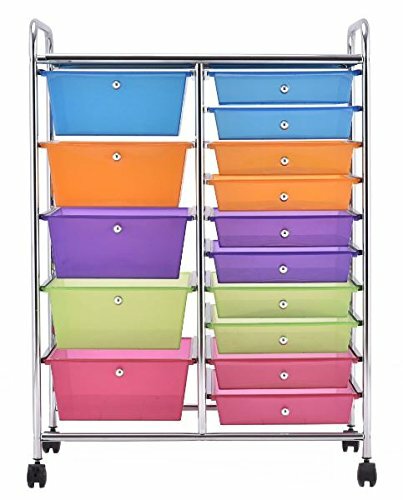 Featuring a chrome steel frame and plastic drawers, this 15 drawers rolling cart is durable and serves you for long time. This cart includes 5 big drawers and 10 small drawers, which provide enough storage space. The colorful boxes can store plenty of items and also be a perfect decoration to living space. Equipped with 4 universal wheels, it is easy to move and fix. This rolling storage cart is great for home and school use.